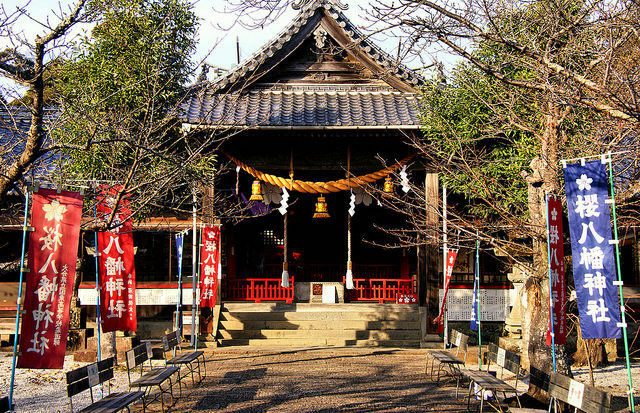 The Sasaguri Pilgrimage, like the Kyushu Pilgrimage, does not have a lot of big, grand temples. It does have a lot of interesting and surprising one though. Most of the "temples" are too small to have a resident priest, and are more what could be described as "chapels. 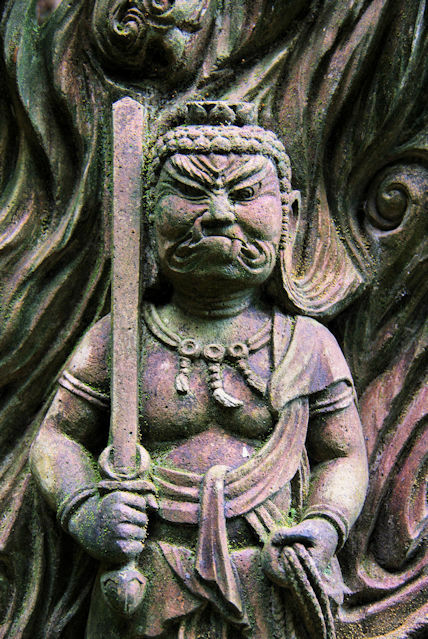 One thing they do all have though is statuary, especially Fudo Myo. 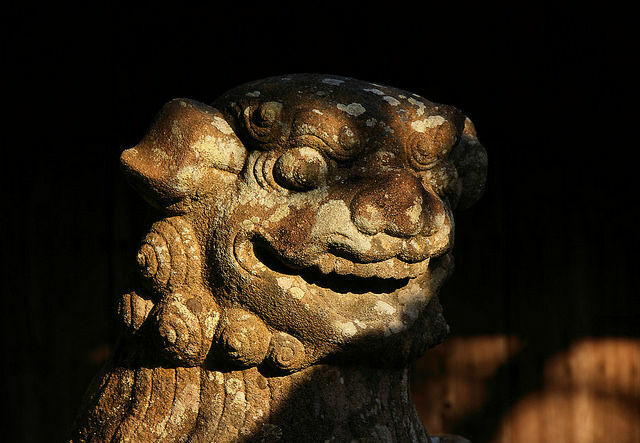 Temple 21, but the second to visit if you start at Sasaguri Sation, is just such a temple. With 88 temples within only 50k of walking, the distance between temples is often measured in meters rather than kilometers. Takada Kokuzo-do was onky 5 minutes from the previous temple and less than a minute to the next. 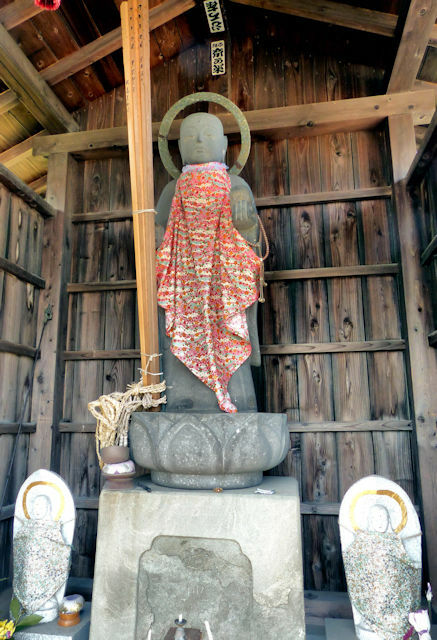 There was a Jizo in a little hut, and a couple of Fudo Myo's in the grounds. 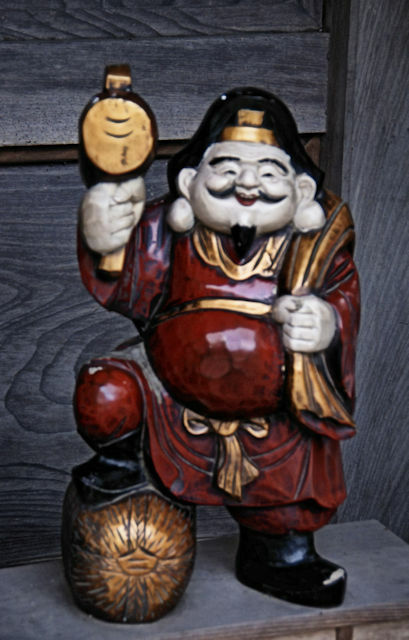 The Honzon is Kokuzo Bosatsu, not one of the more well-known Bodhisattvas. 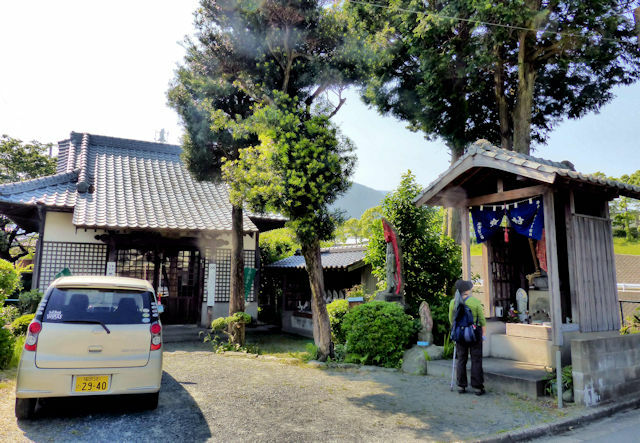 There were also lots of surprises, like Gyoshinji, the temple I had visited a few hours earlier, but there were also lots of run-of-the-mill, small temples with no great architecture or gardens, like Kansenji. 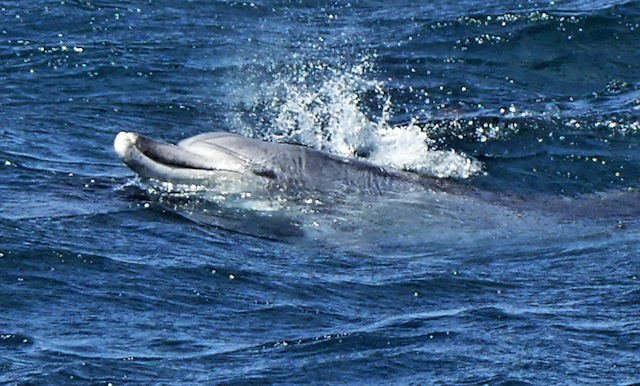 It is rare to find somewhere that does not have something interesting for me to learn. 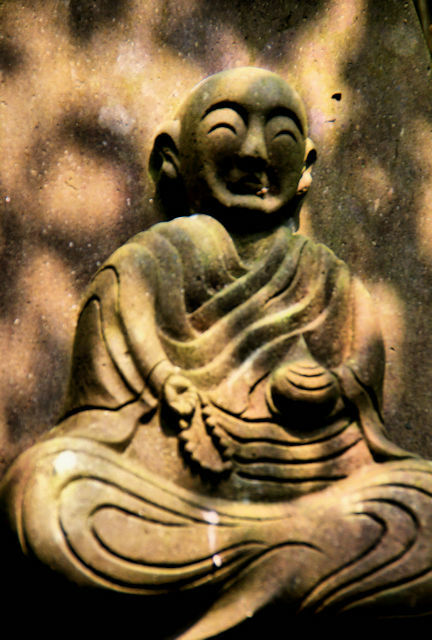 Kansenji had quite a few statues, but one, in particular, struck me. 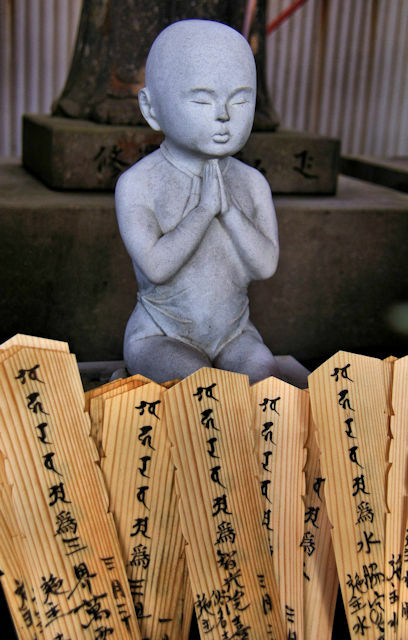 It was of Kobo Daishi, the focus of this and many other pilgrimages in Japan, unusually holding a baby. 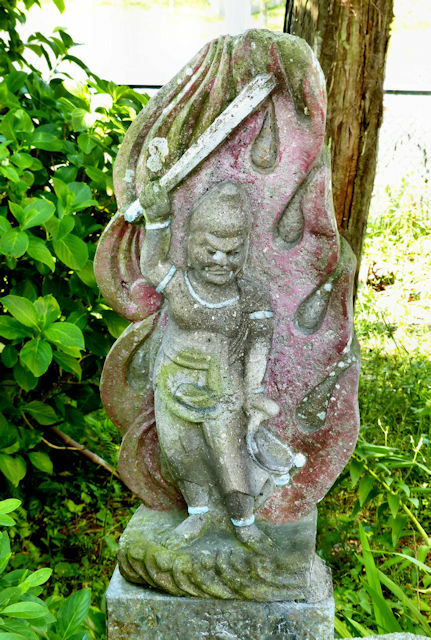 This is a Koyasu Daishi and is related to a story from the 61st temple of the Shikoku Pilgrimage where Kobo Daishi met a pregnant woman having a difficult and painful birth. 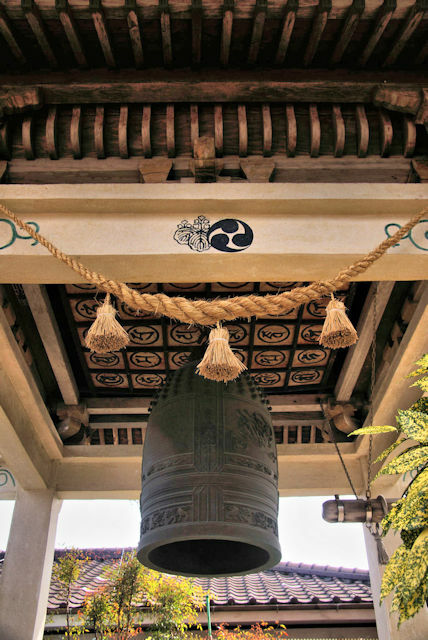 He prayed for her and the result was a successful birth, so this temple is a popular place for expectant mothers to visit. 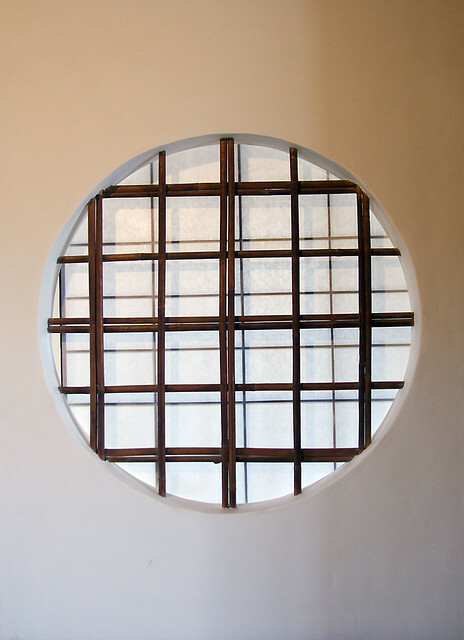 For some reason, posts of round windows have always been popular, and as all of my old blog posts are now missing photos because I left a particular photo hosting site I thought I would post some recent photos. 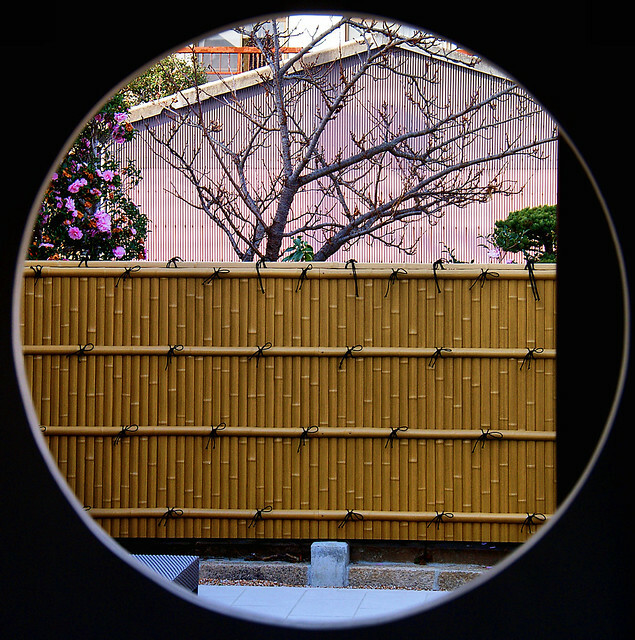 The first one is from the former residence of Japans 26th prime Minister Tanaka Giichi, in Hagi Yamaguchi. 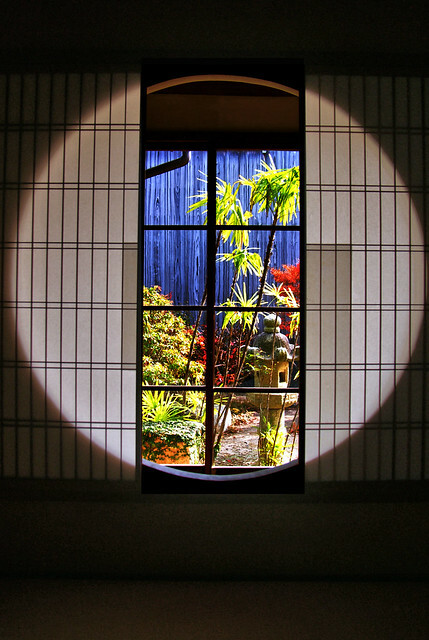 The second is from Shoji-ji Temple in the Oharano district of Kyoto. 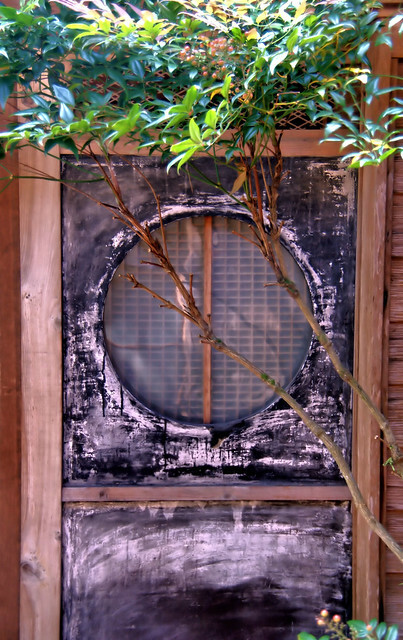 This third one is from the Jippotei, a collection of traditional buildings in YamaguchiCity. 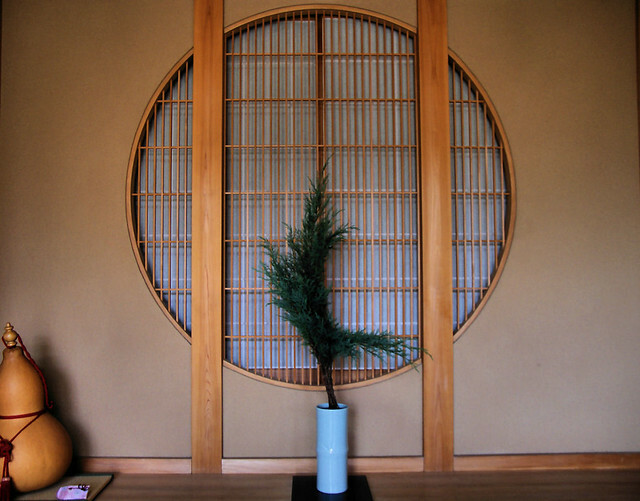 The last 2 are from the former Yoshimatsu Residence in Kushima, Kagoshima. 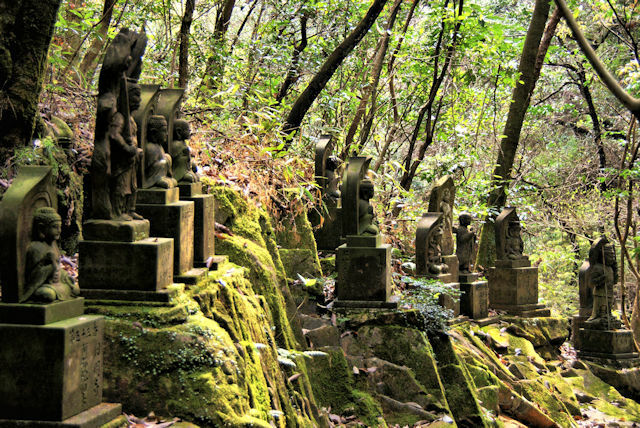 Gyoshinji, the 35th temple on the Kyushu Pilgrimage had a large collection of statues lining the forest path that leads to a waterfall used for ascetic training. 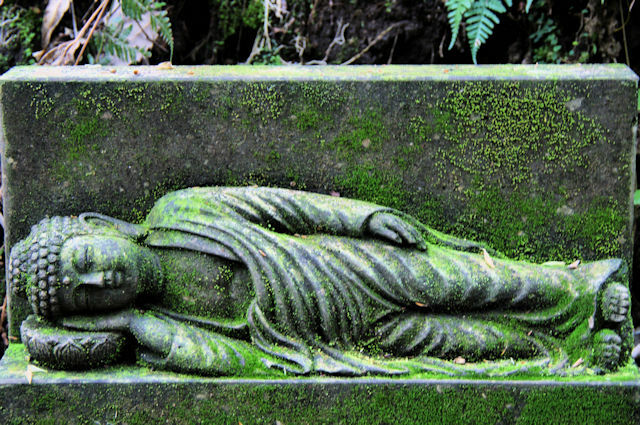 Reclining Buddhas are not very common in Japan. 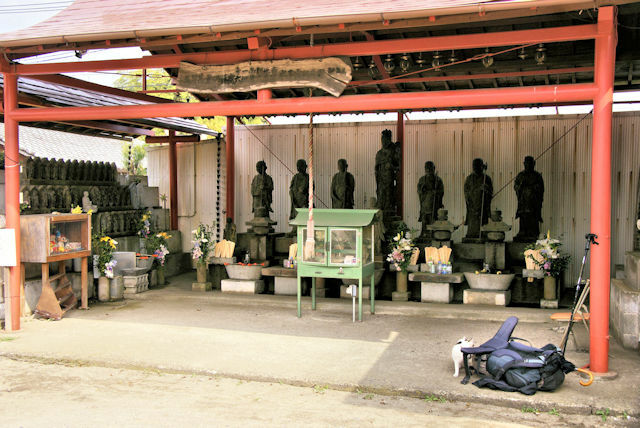 I didn't realize until later that the 88 statues represented the honzons of the 88 main temples on the pilgrimage. If I had known I would have paid more attention. 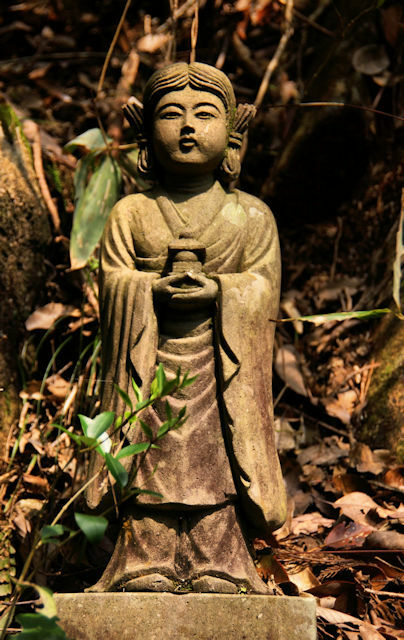 I am getting better at recognizes the different buddhas, bodhisattvas, deities and characters that one finds statues of, but there are so many of them and each may have many variations. This final one is a complete mystery to me as the hairstyle is ancient Japanese and the figure looks female..... anyone have any ideas? 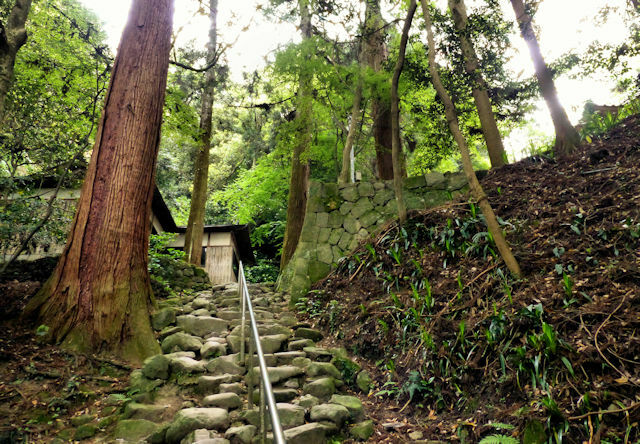 Behind the temple is a stone stairway eading up the mountainside. 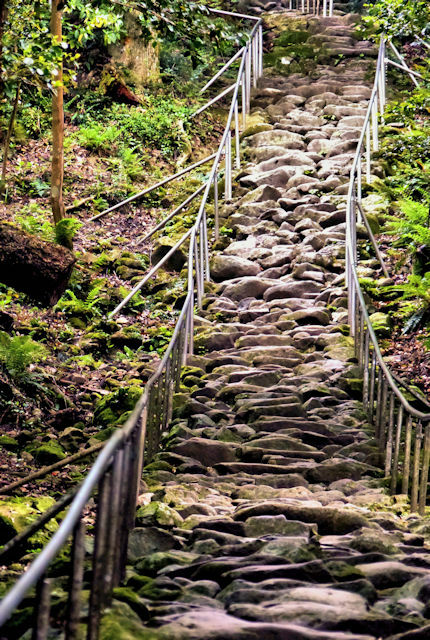 Many of the rocks used to construct it are large and it's very much a jumble of uneven rocks because it is said a demon built the stairs in just one night. 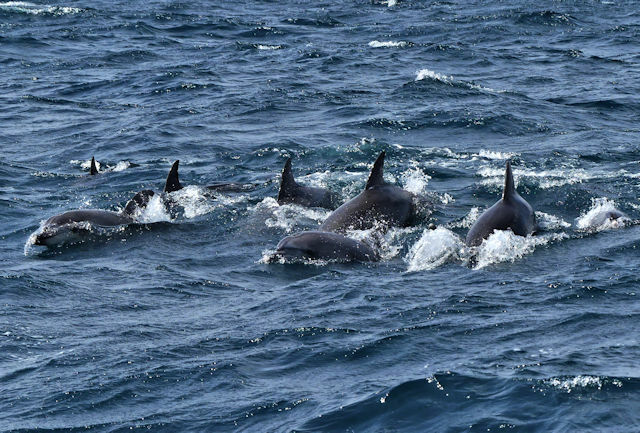 They lead up to the Kumano Magaibutsu. 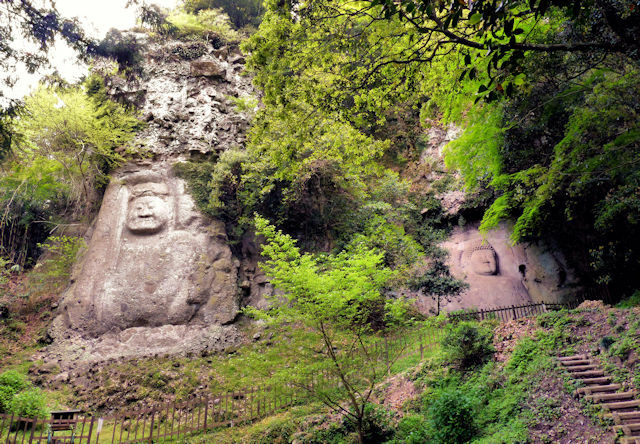 Magaibutsu are relief carvings in cliffs or large boulders, and Kunisaki is home to many of them. 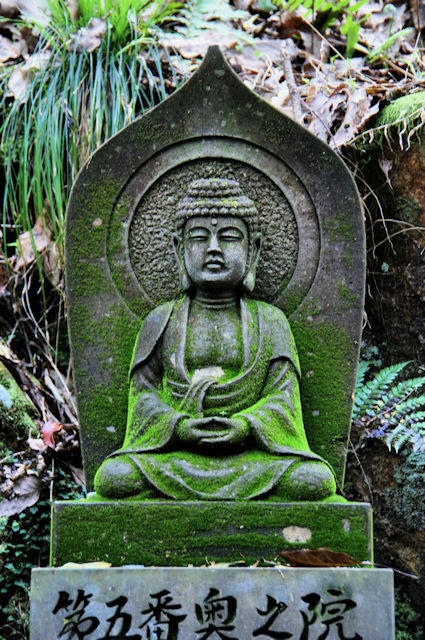 The Kumano Magaibutsu were carved about a thousand years ago. 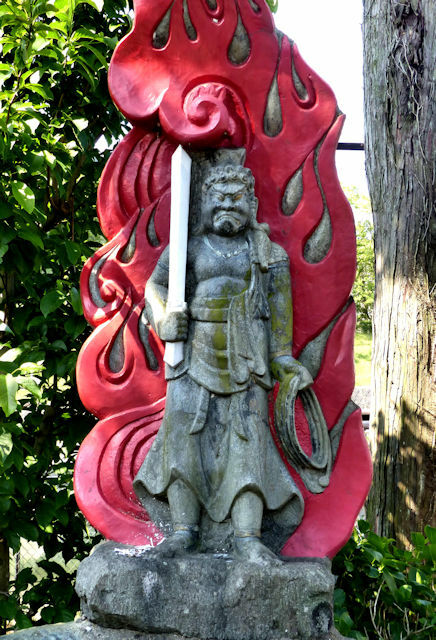 The largest is of Fudo Myo and is more than 8 meters in height. 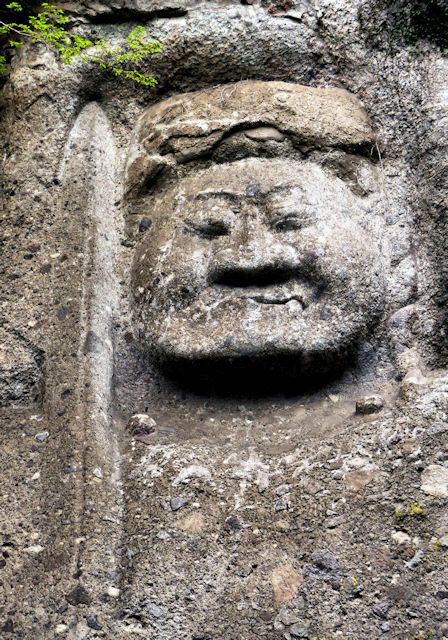 The second figure is believed to be Dainichi Nyorai and is more than 6 meters in height. From the magaibutsu the stairs carry on up to a shrine higher up. 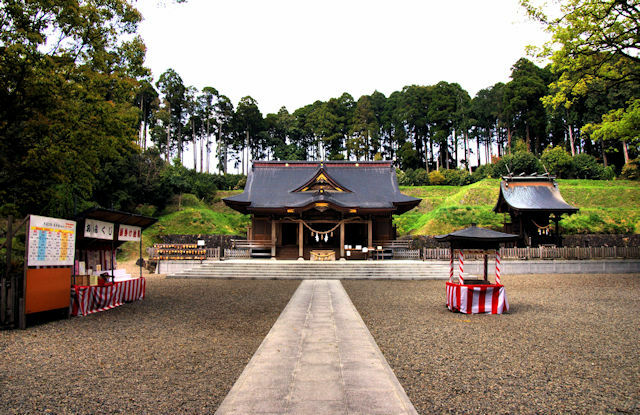 Gyoshinji is the 35th temple on the Kyushu Pilgrimage. 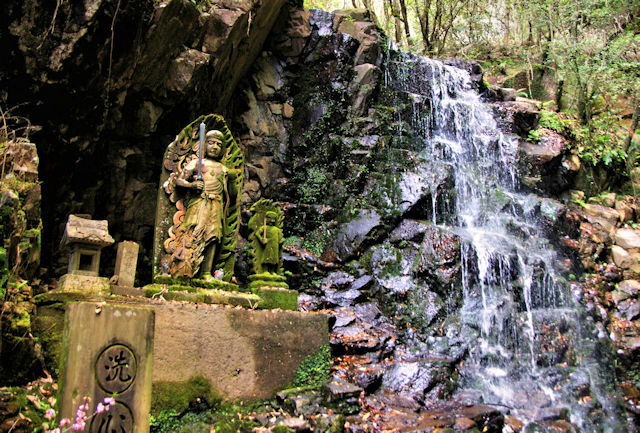 Located near Tsuno in Miyazaki, it was founded in the early 20th Century by a monk who had been practising austerities under the waterfall here. 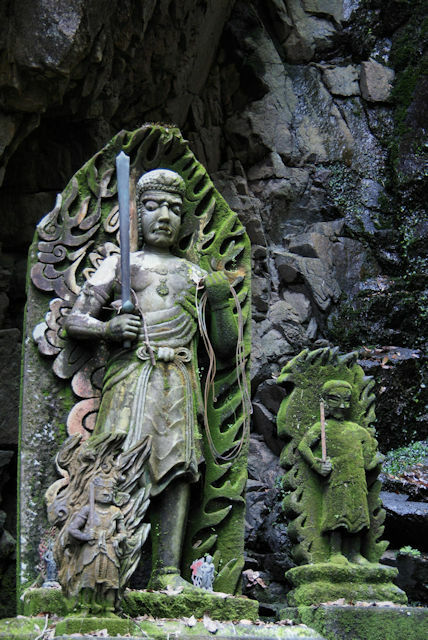 As is common at waterfalls used for shugyo, there were a small group of Fudo Myo statues right at the waterfall. 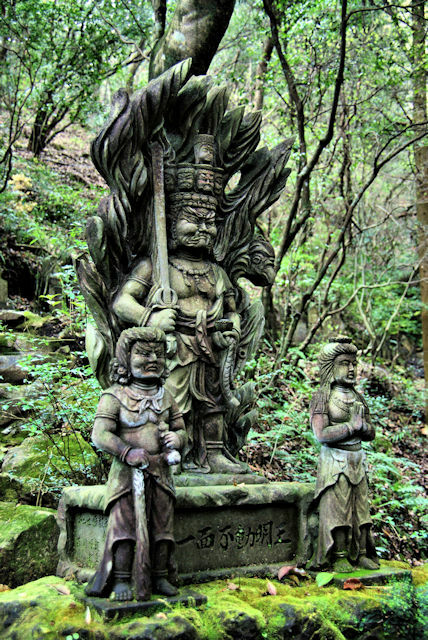 Along the path from the main temple building to the waterfall there are 88 stone statues, each representing the honzon of the 88 temples on the pilgrimage, and as some of the honzons are Fudo there were several other statues of him. 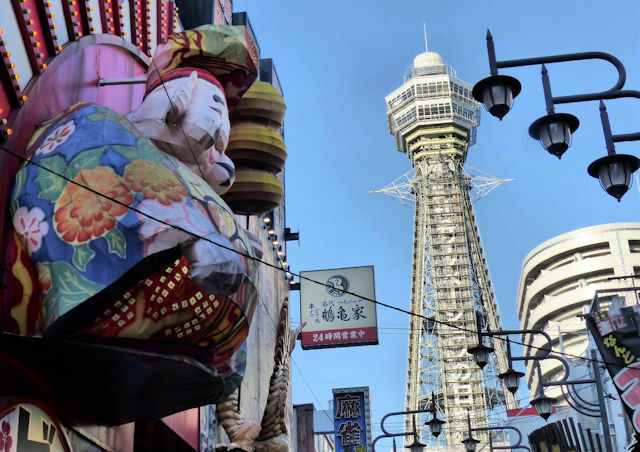 Tsutenkaku Tower is an iconic landmark in the Tennoji area of Osaka. The original tower was built in 1912 and was modelled on the Arc de Triumphe at the base and the Eiffel Tower at the top. 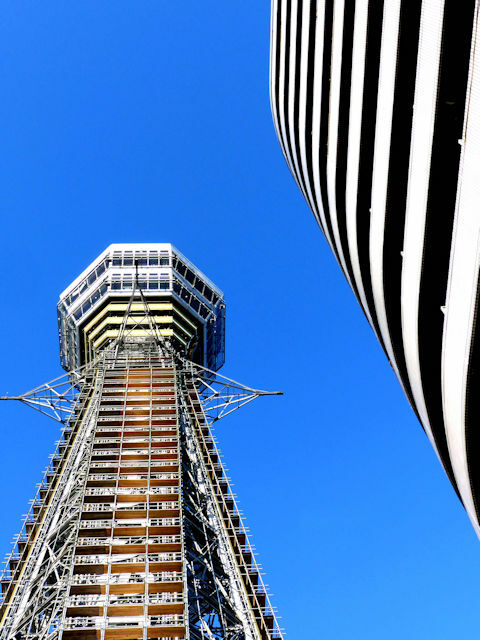 It was 64 meters high. 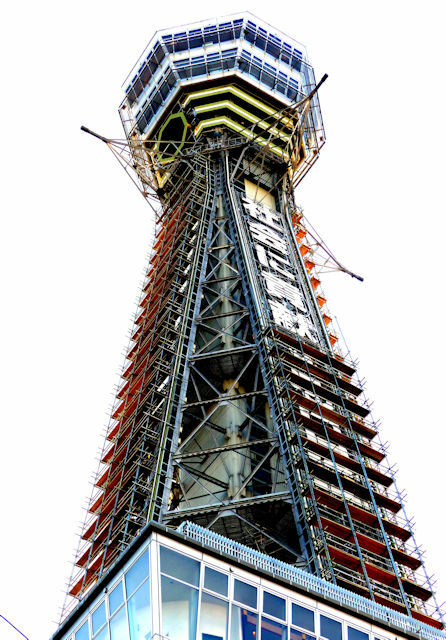 It was damaged and dismantled in 1943, but following public demand a new tower was built in 1956. 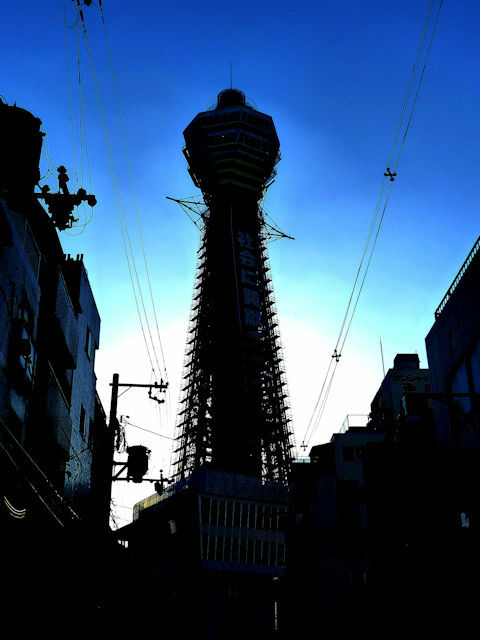 This newere tower is 40 meters taller and was designed by the same person that designed the Tokyo Tower. The queue to go up the tower to the observation deck was too long when I visited. The area around the tower is a very popular entertainment district with cheap food. 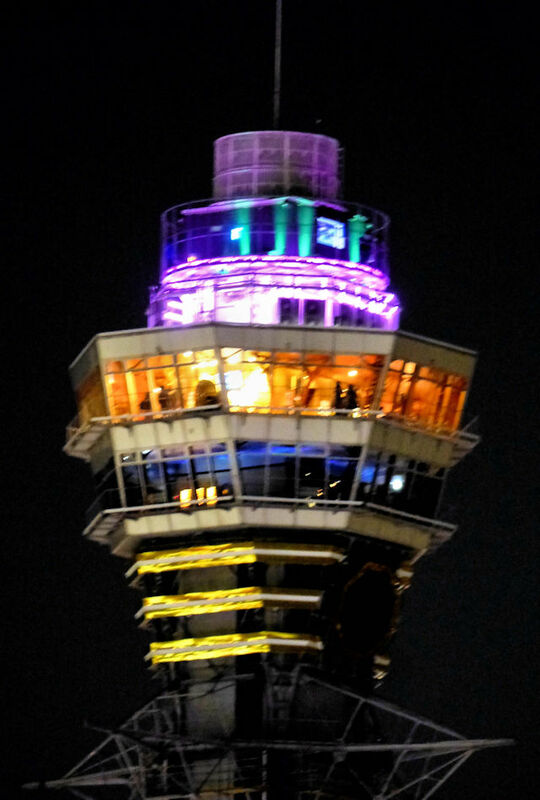 It's particularly colorful at night. Finally got around to finishing some more masks. 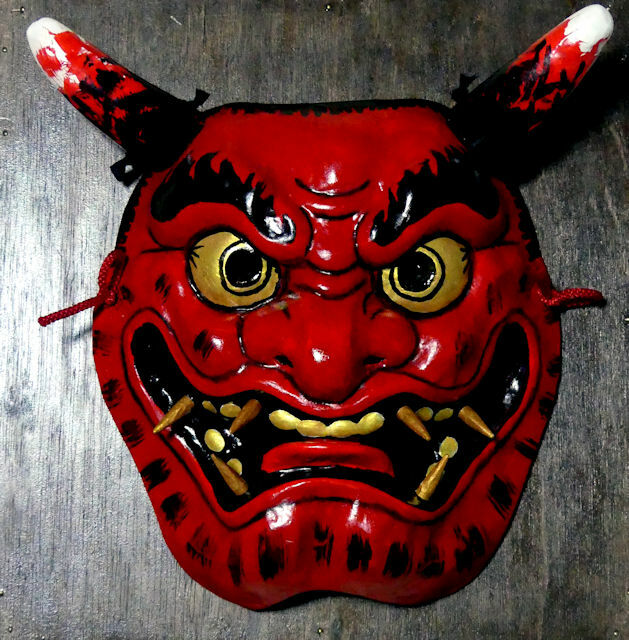 This first one is a small Hannya. 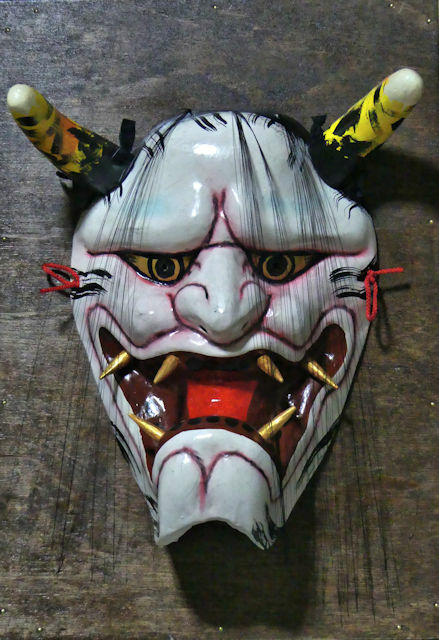 Made quite a few but the large Hannya are more popular. Late afternoon on Sunday 25th of November, 2012, I arrived in the small port town of Kunisaki on the East coast of the Kunisaki Peninsula. Yesterday I started my walk at Usa Hachimangu on the West side of the peninsula. 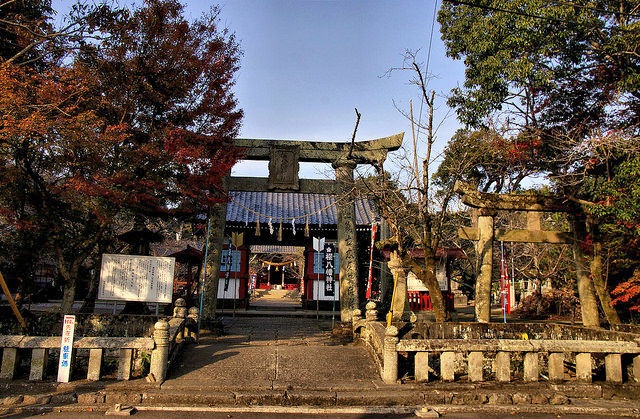 Usa hachimangu s the origin of the Hachiman cult and head shrine of all Hachiman Shrines in Japan, by one count the most common shrines. Before heading to my room for the night I visited the Sakurahachiman shrine in the town. 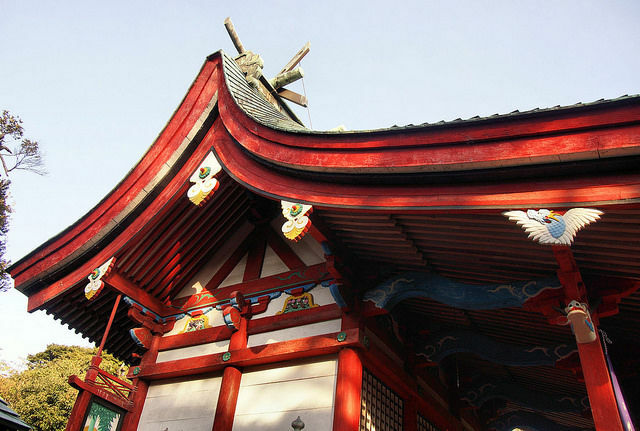 Like many Hachiman shrines in north Kyushu it was painted red and white. 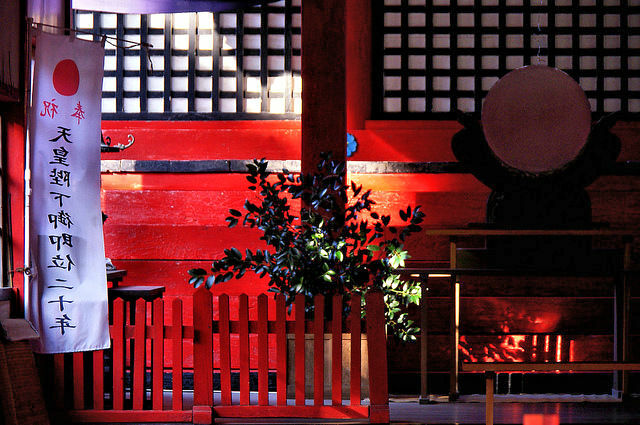 Not the vermillion of Inari shrines and shrines with an imperial connection, but a darker red. 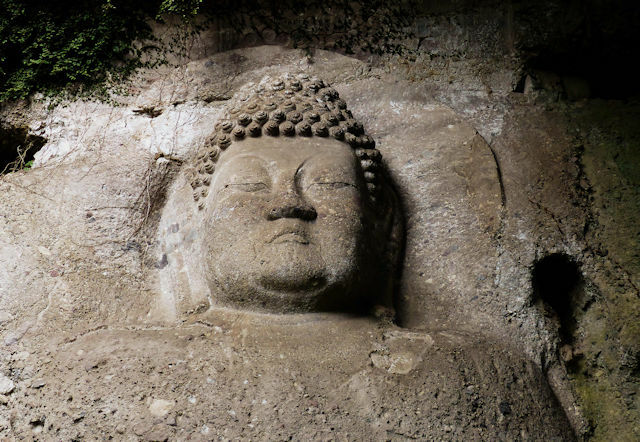 It was founded in 720, when the Hachiman cult was a north Kyushu phenomenon and a few decades before it spread to the capital in Nara and from there throughout Japan. 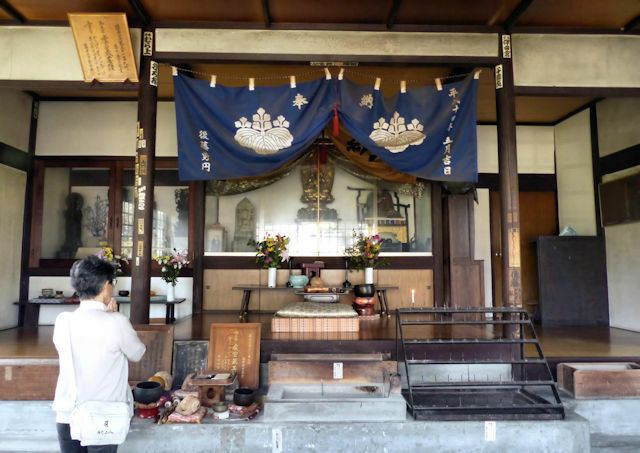 The shrine was founded by the head priestess of the Usa shrine to pray for success in the battle for control of southern Kyushu between the government forces led by the Yamato against the Hayato. 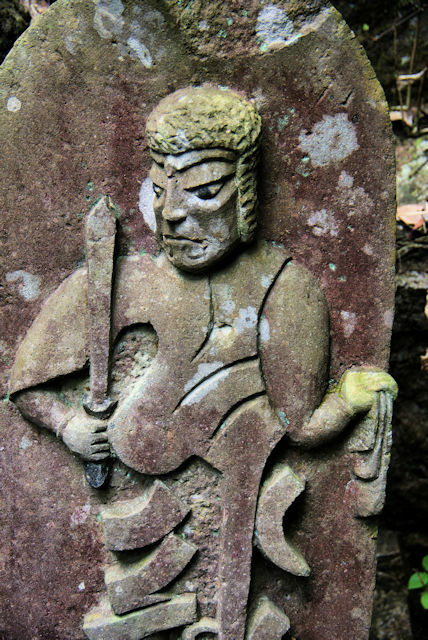 Believed to be an Austronesian speaking people, the Hayato, and the Kumaso people, had long resisted Yamato attempts to control them and outnumbered the Yamato immigrants in south Kyushu. 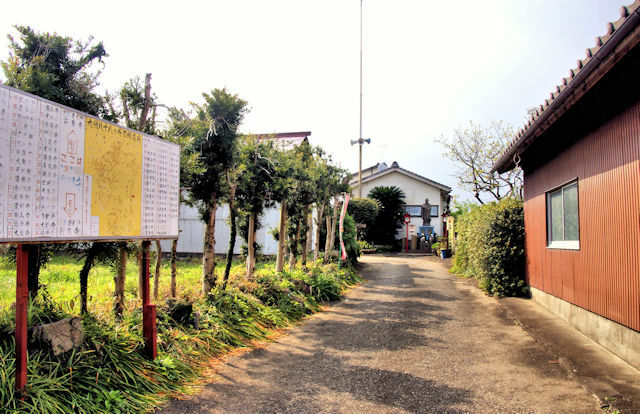 The war was decisive and the Hayato were forced to settle in what is now the Kyoto area, along with other immigrant clans, and Yamato control now covered all of Kyushu. For the last few days I have been walking across the Amakusa Islands in Kumamoto. 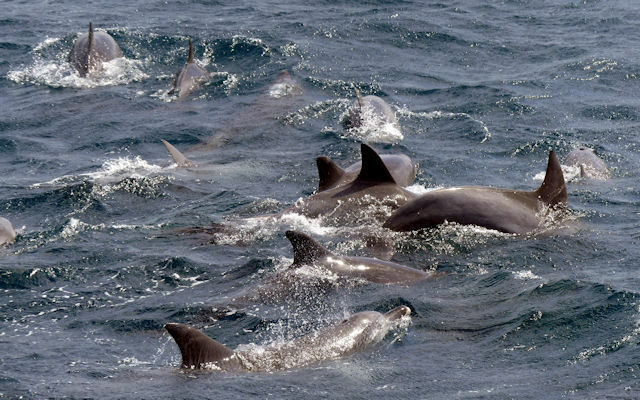 Today I joined a dolphin watching boat tour. 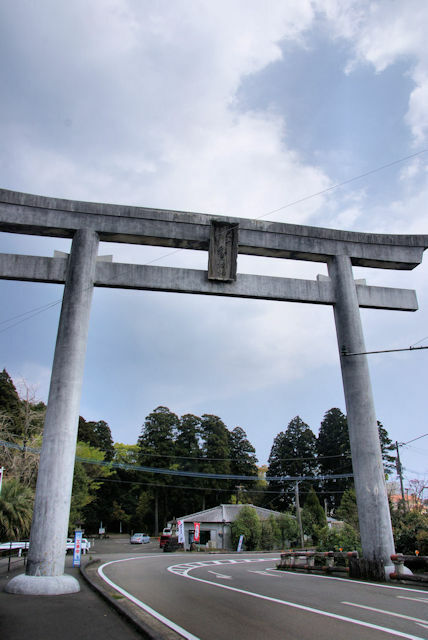 On the afternoon of my 20th day walking the Kyushu Pilgrimage I passed under a large torii that straddled the road, and soon came into Tsuno Shrine, the Ichinomiya, that is to say, the highest ranked shrine in the former Hyuga Province, now Miyazaki Prefecture. 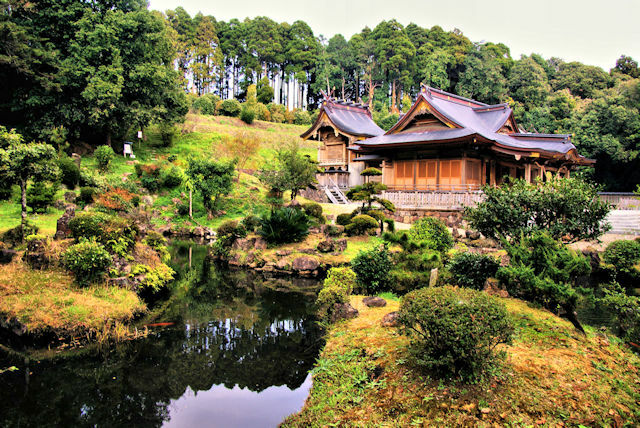 It was a very large shrine with extensive grounds, woods, and a koi and lily pond as well as numerous secondary shrines. What was surprising was the main kami enshrined here,.. Okuninushi. 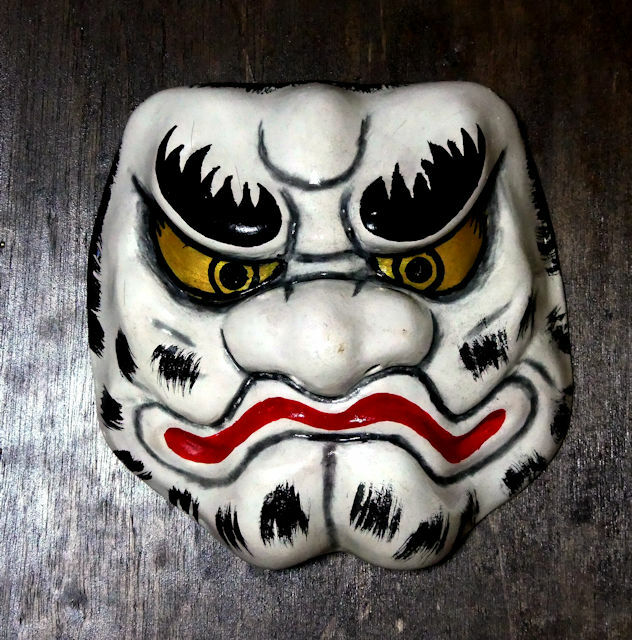 Being Hyuga one might have expected Ninigi, the grandson of Amaterasu sent from the High Plain of heaven to rule Japan, or his descendant Jimmu, the mythical first Emperor, but these kami only really became elevated in the Meiji period when they became an obsession with the nationalists trying to create a state-based "shinto". I never did find out why Okuninushi, an Izumo kami, was the main one. 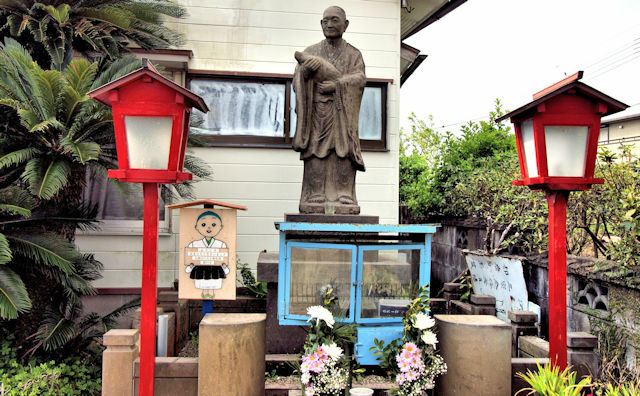 There was a small shrine to Daikoku, one of the imported 7 Lucky Gods, who because his name is the same characters as Okuninushi are often equated together. 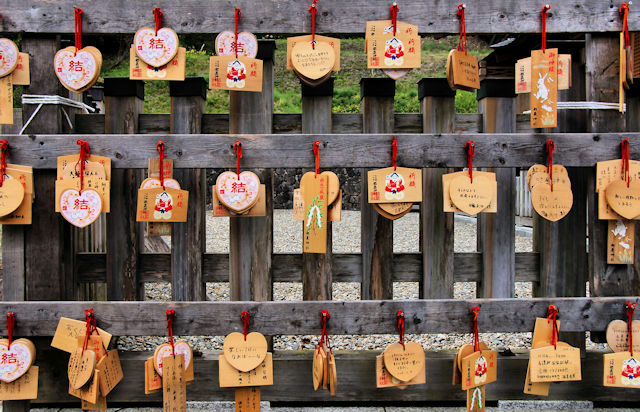 There were also plenty of heart-shaped ema because Okuninushiis now considered the god of enmusubi, especially finding a lover.